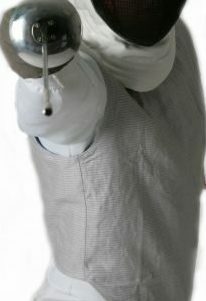 The 2020 Alpha lame range offers good value for money for club and competition fencers. Made from a durable and light weight material with a waterproof lining for ease of cleaning. Includes blade catcher for safety and a D-ring for attaching scoring equipment. 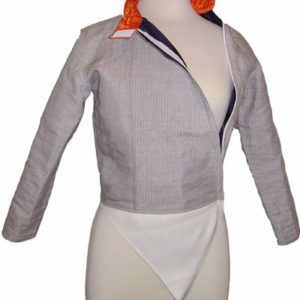 To get the correct fit remember to allow for all the layers you are wearing underneath – T-shirt, plastron and jacket. Please see size charts bellow.